The success of The Bridge depends on participation from people like you. Get involved in our Ministries and God will change your life. Welcome to our media archive. It contains audio and video of Sunday services at The Bridge, outline notes for Pastor Mark's sermons and video of The Bridge Band worship. 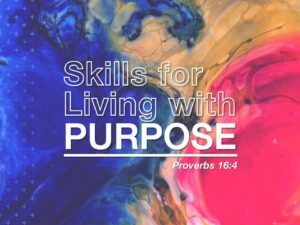 Start the New Year of 2019 right with The Bridge Church as we begin a new message series and learn the skills needed to discover and fulfill God's purpose for our life. You'll love the great music by The Bridge Band and the uplifting biblical messages by Pastor Mark. Do you feel rushed? Do you get everything done you need to get done on your “To Do” list? Do you struggle to find time to get things done? 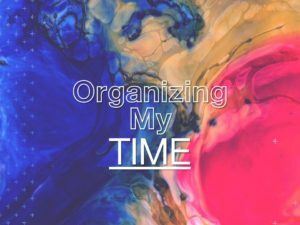 Do you often say, “I need more time?” Would you like to know how to manage your time God’s way? This week The Bridge band will be singing: Big House; Sing, Sing, Sing; Lord, I Need You; Show Me Your Ways; All The Earth Will Sing Your Praises and Beautiful One. You can also check out what else is going on at The Bridge Church in this week’s newsletter by clicking here. Parents! Kidz Bridge (children 4-11) and Baby Bridge (children 0-3) classes are offered during Sunday services each week. Our Teen Bridge class is offered every other Sunday. The Bridge Church meets each Sunday and worship begins at 10:00 AM.